In September of 2009 I wondered if my friends would be more interested in my stories if I recorded myself reading them and sent them out as mp3 files via email. 1. 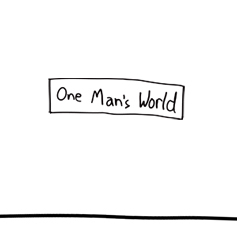 Episodes of a series of audio sketches I do with my friend Aaron (who, incidentally, built this website) called One Man's World. 2. 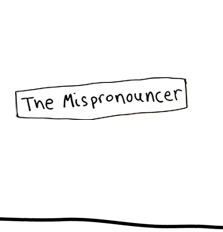 A link to The Mispronouncer's bandcamp page where you can listen to and download songs I've made. 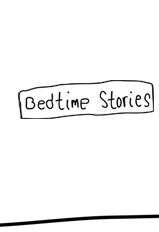 Also, if you want to receive the Bedtime Stories via email, or if you'd like to receive notifications when new Bedtime Stories are available, you can sign up for the Bedtime Stories List with the "Join Mailing List" button at the bottom of the front page. Just enter your email address in the space provided and click the button. If you distrust buttons or want to get in touch with me for any other reason, you can email me at adamdrent@gmail.com.